I used a scanned version of the proof page from Rob Roy Kelly’s wood type book, traced and expanded it in Illustrator, cleaned that up a little (more would have been better), imported the vectors into Vcarve to create a toolpath, carved it on a ShopBot CNC router and cut the letters apart on a table saw and chop saw by eyeball. 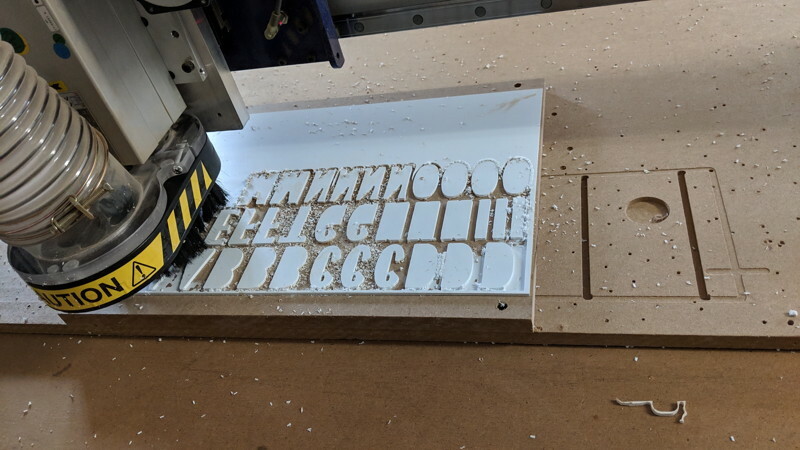 Oh, and I also used the CNC router to plane down the 3/4″ MDF a little and then glued 1/8″ plywood to one side and Sintra to the other to try to get the total to .918. It ended up higher, and not super even, but the material is soft enough so that it worked. It took the machine between five and six hours to carve the letters, the chips stuck to the Sintra and needed hours more of hand removal at the end, and there are a lot of things I would do differently another time. 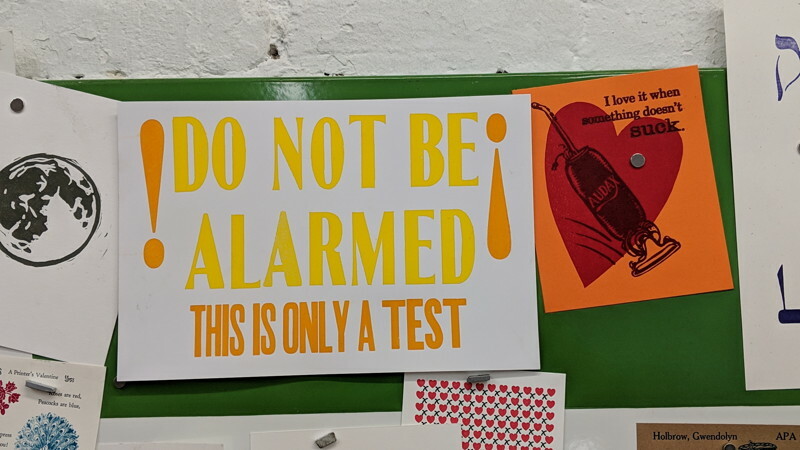 But I did get something printable, which is pretty cool! And the process should work with hardwood if I can get some. I was thinking of making some fatface next, I love those, but since you have that Bodoni Ultra, I don’t have to! But I could probably produce a few matching letters if needed. 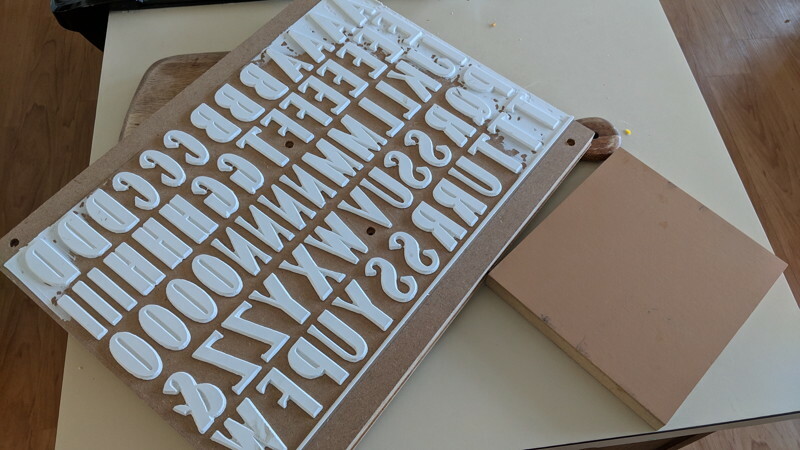 And now I understand why new wood type is so expensive. 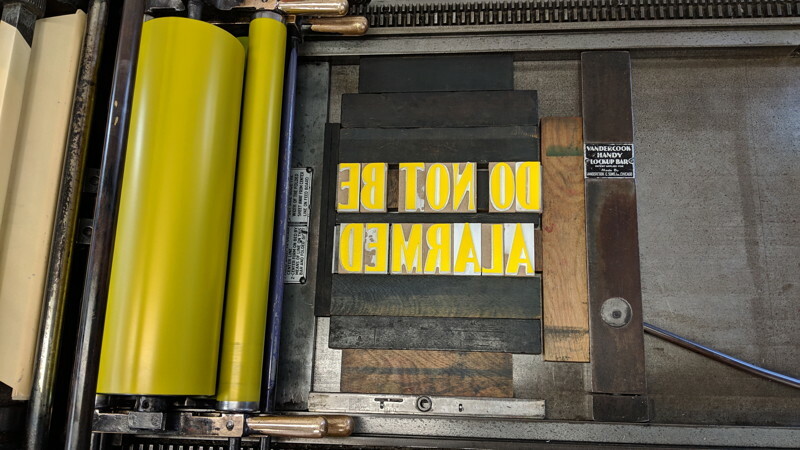 Previous PostPrevious New Type Has Been Distributed!